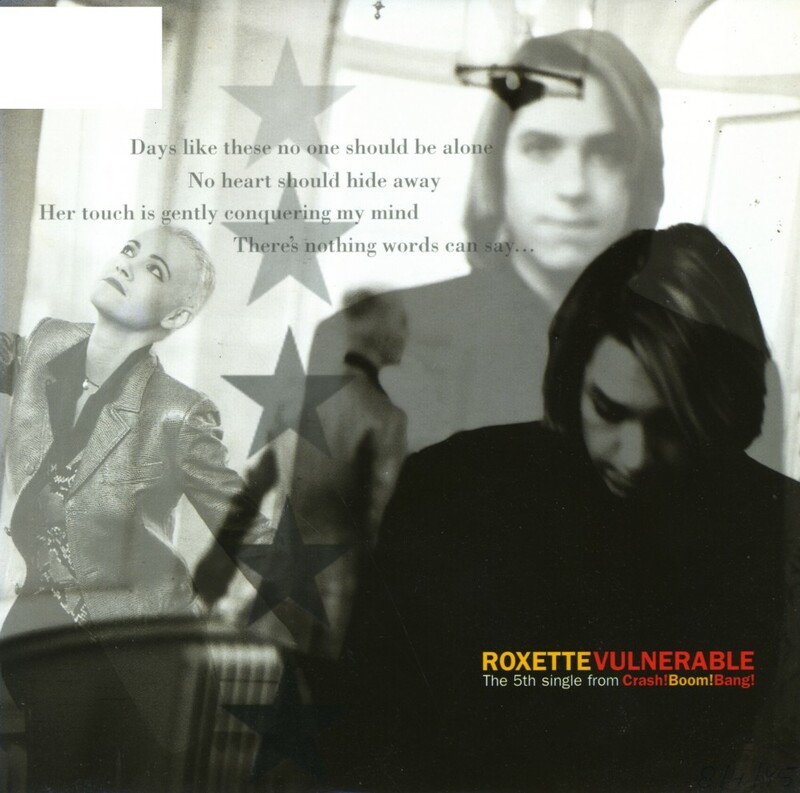 The last single from Roxette's album 'Crash! Boom! Bang' was also the last of their singles to be released on the 7" vinyl format. Unfortunately, it wasn't their best single. 'Vulnerable' is a syrupy ballad with lyrics that are not very imaginative. The inspired lead vocals by Marie Fredriksson are also missing, as she is relegated to backing vocals, making way for Per Gessle's less interesting lead vocals. As a result, 'Vulnerable' was the first Roxette single to miss the UK top 40 since 1989's 'Listen to your heart', peaking at number 44 in April 1995.